Data Center Apparatus - Page 2 of 8 - A SearchDataCenter.com blog covering the latest data center news and trends. Cloud infrastructure offerings increased in resiliency in 2015, assuaging the fears of many businesses looking to switch some applications or transition production IT entirely to the cloud. Enterprises want to save money while retaining the same performance, which cloud providers aim to deliver. Granted, 2015 wasn’t a perfect year. While evaluating cloud providers’ reliability is difficult since there are few independent data sources, it is not impossible. SearchCloudComputing created a general assessment of cloud infrastructure performance in 2015 by combining a few sources of data, including a CloudHarmony snapshot of cloud provider performance over a 30-day period and Nasuni’s reports on the cloud providers that it uses. In February 2015, Google’s infrastructure as a service offering Google Compute Engine (GCE) experienced a global outage for over two hours. The outage was at its peak for forty minutes, during which outbound traffic from GCE experienced 70% loss of flows. Months later, Amazon Web Services (AWS) experienced outages over a weekend in September that affected content delivery giant Netflix and throttled service for other U.S.-East-1 region AWS users while recovery efforts took place. Compared to previous years when AWS experienced some major outages, 2015’s cloud problems were definitely less major, more of a slowdown than a full stop. However, the list of AWS services affected was longer than the list of services unaffected. Is Colo the Way to Go? Even though offerings from cloud providers are improving, some companies found that the cloud just couldn’t handle their business needs. Since 2011, Groupon has been moving away from the cloud and to a colocation provider. Cost drove the online deals company towards running its own data center IT, with its enterprise needs covered in nearly every area, from databases and storage to hosting virtual machines. However, colocation providers aren’t free of problems. A study of the costs of data center outages from Emerson and Ponemon Institutes found that UPS system failure accounted for a fourth of all unplanned outages, while cybercrime rose from 2% of outages in 2010 to 22% in 2016. Verizon’s recent data center outage that took airline company JetBlue offline for three hours and grounded flights highlights the importance of failover plans and redundant power. Verizon, which runs its own data centers for its telecom business, is a surprising sufferer in this outage scenario, according to some observers. Companies that run owned data centers aren’t free from the same problems that plague cloud and colocation data centers, from stale diesel fuel to poor disaster recovery planning in advance of an attack, error or natural disaster. Data center IT staff must consider how much oversight they have over potential problem areas, and how much control they want — or can have — over the outage and how it is resolved. Visibility into the outage and its aftermath also will vary from provider to provider. Each year, SearchDataCenter ushers in the holiday season with a geek gift guide by Beth Pariseau, who enjoys a brief break from breaking stories about AWS public cloud to tell you about what to find on Amazon’s other major property. Geekiest gift he’s ever gotten? “A Motorola Xoom.” You might remember the Super Bowl commercial for it. What about you, IT reader? What do you want for the holidays? The summer weather didn’t slow down anyone in the cool, dark halls of the data center. Catch up on the big news and expert advice from the past month that other data center pros found valuable. These trends, shared at the Gartner IT operations conference, will shape the face of the data center sector for the coming years. Will hyper-converged systems take your job? The buzz at Red Hat Summit included talk of converged and hyper-converged infrastructures. Many attendees were keen to learn if and how these systems would change their daily work. Do you run a DC data center with high-voltage racks built into a glacier? No? Neither do most of your peers. But just because a concept missed mainstream adoption or faded from use does not mean that we can’t learn something from it for tomorrow’s data centers. Big data means data sprawl and more work for data centers. This tip outlines ways to corral enterprise data and store it without exhausting your hardware and staff resources. HP told attendees at its HP Discover conference that the impetus for its Grommet user interface came from a decision to look like one company across its various enterprise tools and applications. This e-zine covers everything from micro services to mega convergence in data center storage. Check out expert stories on bare metal, desktop security and big data as well. The problem with getting older is that I sometimes find myself set in my ways — gravitating toward things that I knew (or was at least interested in). I confess that I sometimes feel a little overwhelmed by the many abstract concepts emerging across the industry like big data and the Internet of Things just to name a few. After all, I’m a hardware guy, and finding ways to monetize or justify business value in 26 billion connected devices or securely deliver streaming content to a multitude of remote device users is tougher to wrap my brain around than the newest Intel command set. There are moments when I’d rather just move to Nebraska and raise alpacas. But watching this morning’s keynote address by Gartner’s Chris Howard on “Scenarios for the future of IT” at Gartner IT Operations Strategies & Solutions Summit in Orlando, Fla., reminded me of something that I’d long-forgotten: IT has never been about servers and networks and stacks and all of the engineering stuff; IT is about solving business problems and enabling the business. Back in those ancient days before the Internet (yes, I was there), IT supported the business by storing and serving up files and even supporting the groundbreaking notion of collaboration. Later, networks and user bases expanded, and businesses needed IT to solve new problems, allowing businesses to support remote users and market the business differently on that thing called the world-wide web. As we fast-forward to today, Howard’s hour-long keynote focused on the challenges of the digital business. This included the importance of context, providing access to data that isn’t tied to devices, where devices have the intelligence to determine where you are and what you need. He also talked about the need for analytics that extend to the edge of the environment (not just in a data center) to decide what data is important and how it should be used. And while Howard cited numerous examples of these issues — where many of the working elements are already in place — there was NO mention of the underlying systems, networks, software, or other elements needed to make all of these business activities possible. It was then that I realized there shouldn’t be. It’s not that the underlying parts aren’t important. It’s just that the underlying parts aren’t the point. Thinking back, it really never mattered what server or disk group served up files back in the day. The only goal was that IT needed to deploy, configure and maintain that capability. While today’s business demands and pace has changed dramatically, the basic role of IT remains essentially unchanged; to enable, protect and support those competitive business capabilities in a reliable, cost-effective manner. The underlying “stuff” is there, and IT professionals have the savvy to make it all work. So the real challenge for today’s IT pros is to embrace these many new ideas and find the way to map those complex business needs to the underlying infrastructure, which must inevitably evolve and grow to meet ever-greater bandwidth, storage, and computing demands. Who knows what the next few days in Orlando might bring? Maybe this old dog might actually learn a new trick or two? Google used machine learning to parse the multitudinous data inputs on its data center operations, as a way to bust through a plateau in energy efficiency evidenced by its measured power usage effectiveness (PUE). In a white paper describing the effort to improve PUE below 1.12, Google’s Jim Gao, data center engineer, wrote that the machine learning approach does what humans cannot: Model all the possible operating configurations and predict the best one for energy use in a given setting. 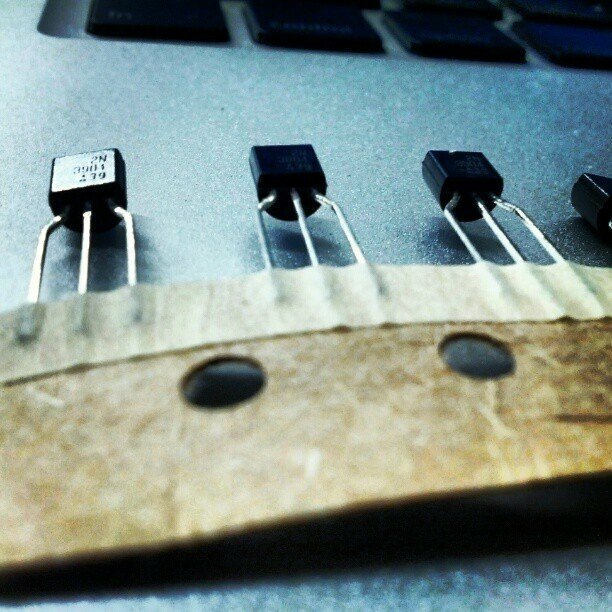 Gao states: “A typical large­scale [data center] generates millions of data points across thousands of sensors every day, yet this data is rarely used for applications other than monitoring purposes.” Machine learning can understand nonlinear changes in efficiency better than traditional engineering formulas. The IT team never really gets a break — it’s the first week of July and everyone else is taking a long weekend, but you’re on call, minding the beeps and flashes of some uncaring, disinterested servers. While the storage array quietly dedupes its backups, take a little downtime with data center comics, viral videos and other fun links. This post was inspired by a conversation with Kip and Gary cartoonist Diane Alber. You can check out her comic at http://www.kipandgary.com/and see what kind of trouble could be brewing in your data center if you did clock off for a week at the beach. What are your favorites? DevOps reaction .gifs? Network admin rants? Lego men running a colo? 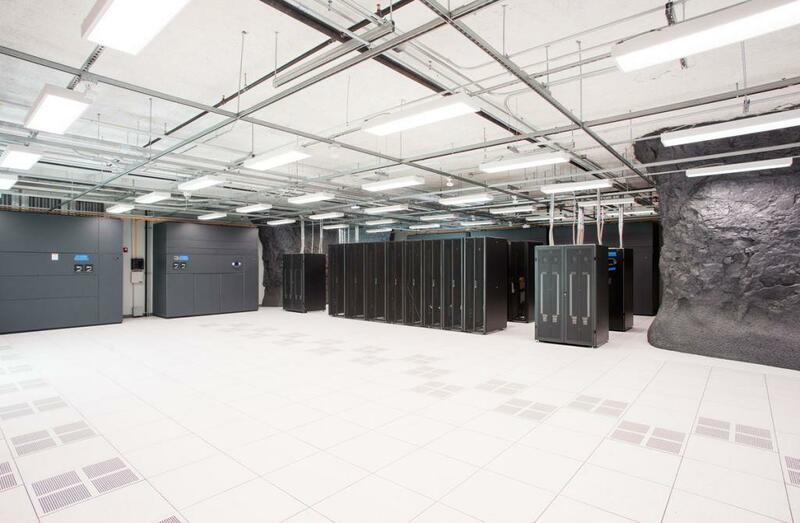 Data center colocation providers have gotten creative with where they place facilities to save energy or increase security, and one cloud provider has found its home underground. 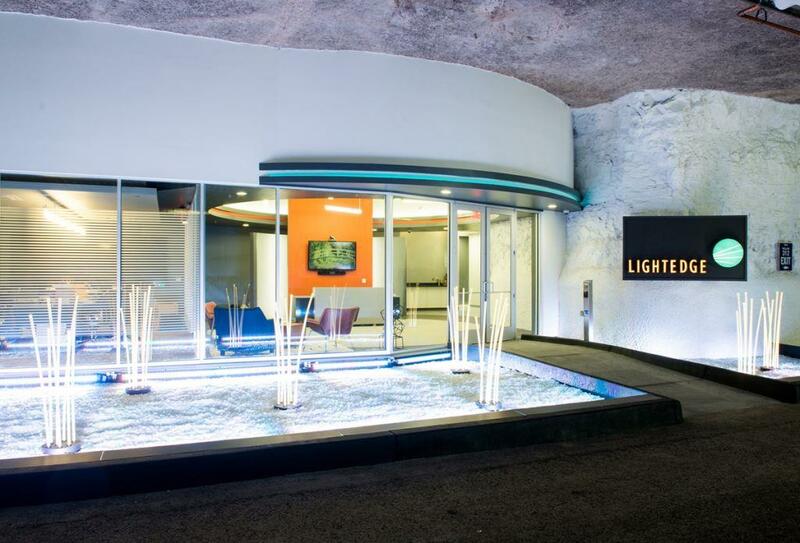 Lightedge Solutions, a cloud infrastructure and colocation provider in the U.S. Midwest, opened a facility in SubTropolis Technology Center, a converted limestone mine in Kansas City, Mo. The underground data center build eschewed precast walls and typical construction, saving 3-6 months on the new build compared to an above-ground data center, according to president and COO Jeffrey Springborn. “Looking back, everything has gone really smoothly for a first project in a retired mine,” Springborn said. Figure 1. The limestone walls act as external insulation, absorb heat from the electronic equipment and provide natural security for equipment hosting corporate and sensitive data. “It’s a hardened facility that’s ready to go in a cookie-cooker fashion,” Springborn said. 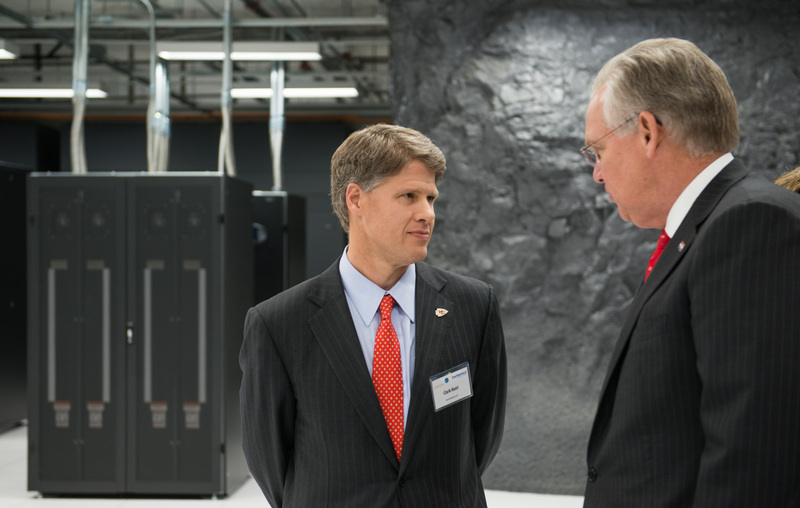 Pictured: Kansas City Chiefs owner Clark Hunt, whose family owns SubTropolis Technology Center, speaking with Missouri Gov. Jay Nixon at Lightedge’s grand opening in April 2014. Figure 2. The hardened environment of the underground mine appeals to high-security industries, Springborn said, such as government and medical IT. But cloud infrastructure is so hot, the mine’s users will also include a mix of local enterprises that want to migrate off -premises to cloud or to colocate their own equipment. The cloud hosting infrastructure that Lightedge uses in the Kansas City facility matches the infrastructure in its other facilities. Because of its mix of enterprise customers, Lightedge’s facility provides private cloud hosting without shared equipment. Figure 3. Lightedge’s cloud hosting infrastructure comprises Cisco and EMC hardware with a VMware cloud layer. It uses high-speed 10G network connections between data centers and software-defined networking to ease network management, symbolized in the lightscaping at the colocation facility’s entrance. Figure 4. Because Lightedge was the first data center built into the former limestone mine, the company had to plan the portal in and out of the mine for its above-ground generators’ and chiller’s pipes. Pipe location and design must support future expansion of the data center, while accommodating the mine structure and easements. Figure 5. Without requiring a typical above-ground building, Lightedge will deploy new 10,000 square foot quadrants in four to five months. Building above ground, Springborn said, Lightedge would have put in the shell infrastructure for 50,000 to 100,000 square feet, paying for and maintaining the structure before it was useful to the business. 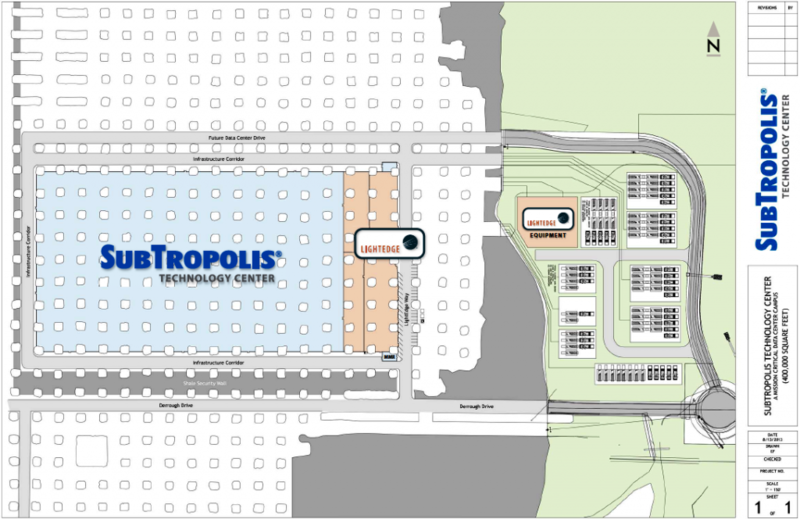 This site plan shows the grid-like configuration of Lightedge’s data center. Over its 100-year history, IBM has reinvented itself numerous times to remain competitive in hot, emerging markets or, more rarely, just to survive and remain whole. The last reinvention 20 years ago addressed the second reason when IBM grew too fat and happy about 20 years ago, and missed a couple of important technology trends below the mainframe platform. The company put up an unprecedented three consecutive years of losses, and seriously considered breaking itself up into a loose federation of 13 business units, called the Baby Blues. But then Lou Gerstner came in and took things in exactly the opposite direction, making the units work together more cooperatively. Today, IBM doesn’t need an immediate reinvention — but maybe it should start thinking about it. For several quarters in 2013, sales of IBM’s mid-range servers, its Power Series, plummeted dramatically. Despite IBM’s steady delivery of new hardware technology and decision to replace Unix with Linux as the primary operating system for Power servers — a wise choice — a growing number of data centers are choosing Intel-based servers instead. Compounding IBM’s woes, its X Series of Intel-based servers that compete with HP and Dell has shrinking margins. So much so that earlier this year, IBM was engaged in talks with Lenovo to sell off the series. Most observers don’t see IBM exiting the hardware business any time soon — mainframe sales have actually picked up significantly this year and its Power Series appears to be producing enough profits for now. But others already see Big Blue transitioning to more of a software-and-services company, one keenly focused on cloud opportunities. One that will, oh yeah, also sell some hardware. This shift in IBM’s roadmap, whether intentional or not, is already taking place financially. At the end of fiscal 2012, IBM generated $25.4 billion in software revenues, with hardware producing only $17.6 billion. IBM Global Services easily holds up its end of the software-plus-services focus, raking in $40.2 billion last year. And the gap is growing wider still in 2013. But can IBM’s software business grow fast enough to offset its hardware business declining? Unlikely, given the recent growth of IBM’s bread-and-butter server-based applications, and the fact its cloud-based products portfolio, while growing, is only about $2.2 billion right now, with a goal of reaching $7 billion by 2015. And, are we looking at a smaller IBM over the next few years? The company has always proved adept at growing the top line, even when it sells off billions of dollars worth of business, such as its still-profitable $11 billion PC business to Lenovo back in 2004. Casey adds that IBM would take the proceeds from selling such units and buy or develop whatever it needs to maintain its size and ability to fulfill its core mission as a full-service provider of information processing technologies for large enterprises. It is difficult to predict if current server hardware trends will force another reinvention of the world’s second-largest IT company, but it will be interesting to see what new directions IBM may take to stay on track.